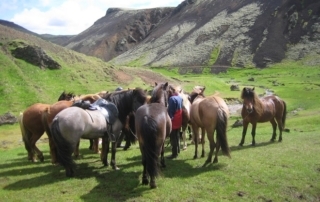 This tour includes Iceland´s highlights and a horse ride. You will get to ride in a small group with great guides who offer good and personal service. 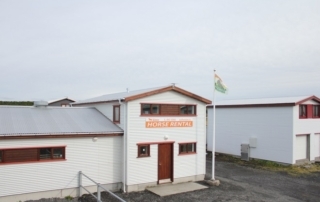 You will be picked up at your hotel between 08:00 and 08:45 in the morning and head straight to Sólhestar stable, just a 15 minutes drive from the Reykjavik downtown area. 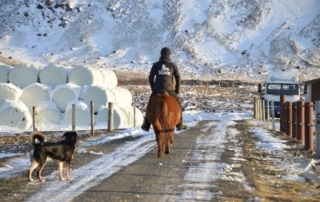 You will enjoy a 1,5-2 hours riding tour in Redhill/Rauðavatn area and the famous Golden Circle. This tour is for both beginners and experienced riders as the guides will decide on the difficulty level in accordance with the riders skills. 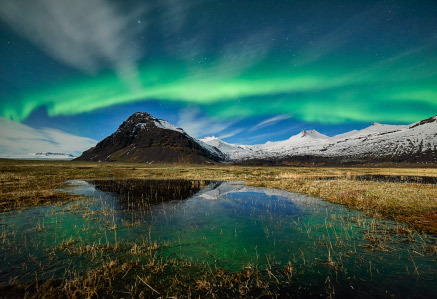 This tour includes Iceland´s highlights and a horse ride. You will get to ride in a small group with great guides who offer good and personal service. 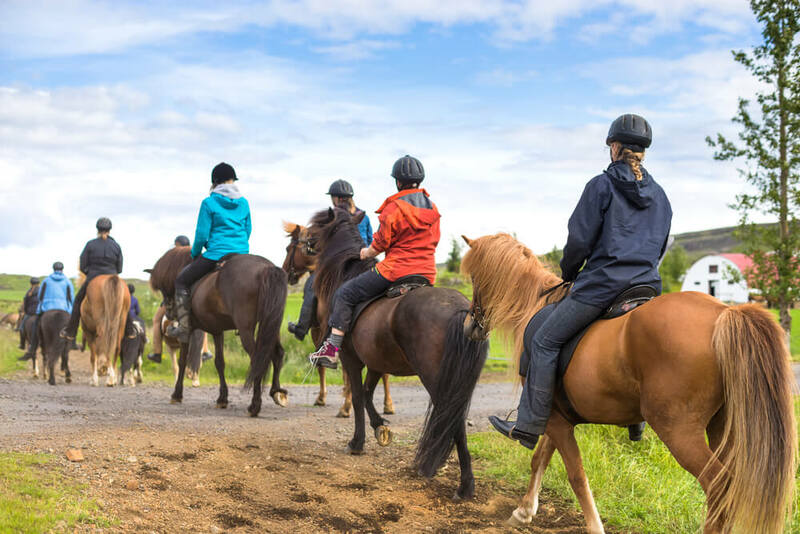 You will be picked up at your hotel between 08:00 and 08:45 in the morning and head straight to Sólhestar stable, just a 15 minutes drive from the Reykjavik downtown area. On arrival you will be guided to the stables where you find suitable gear and clothing for the riding tour. Shortly after you will enjoy a 1,5-2 hours riding tour in Redhill/Rauðavatn area. 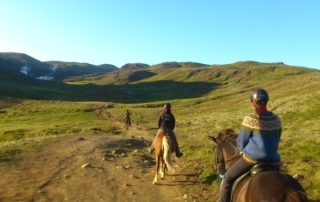 You will experience the Icelandic nature and breath in the fresh air while riding the most famous breed in the world. Definitely a unique experience. 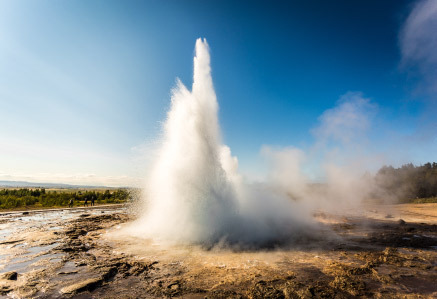 As you return to the stables you will be picked up by a bus and head to the famous Golden Circle to see three of Iceland’s highlights: Thingvellir National Park (UNESCO site), the powerful Gullfoss waterfall and of course Geysir hot spring. There will be a lunchstop on the way (food not included). At the end of the tour the bus will drop you off back at your hotel around 18:00-19:00 pm. This tour is for both beginners and experienced riders as the guides will decide on the difficulty level in accordance with the riders skills. 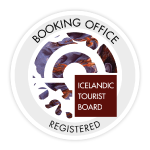 You will get to experience two of Iceland’s most popular attractions, the Icelandic Horse and the Golden Circle. Standing at the Gullfoss waterfall or witnessing the majestic Geysir, you will not be disappointed by this tour.